Fannie Mae has recently outlined changes in the way lenders can qualify potential borrowers who have student loan debt. The policy change is designed to make it easier for more consumers to qualify for mortgages, in part by excluding some non-mortgage debt for income-to-debt calculations. These debts can be things like installment loans, student loans, and other monthly debts as defined in the company's mortgage lending guide. "If the lender obtains documentation that a non-mortgage debt has been satisfactorily paid by another party for the past 12 months, then the debt can be excluded from the debt-to-income ratio," Fannie Mae said on its website. "This policy applies regardless of whether the other party is obligated on the debt." The move will allow borrowers to purchase a more expensive home, or will allow them to more easily qualify to buy an entry level home if their income is right at the approval threshold. The policy change also allows lenders to refinance existing loans and apply the home's equity to paying off student loan debt. That, Fannie Mae says, will allow current homeowners to increase their monthly cash flow. But there are things to consider before doing that. “Swapping student debt for mortgage debt can free up cash in your family budget, but it can also increase the risk of foreclosure when you run into trouble,” said Rohit Chopra, senior fellow at the Consumer Federation of America (CFA). Chopra says the policy may help those with solid income and stable employment. "But for others, they might be signing away their student loan benefits when times get tough,” he said. CFA says the policy change has the potential to make a difference in the mortgage market, especially in its effect on borrowers with student loan debt. At this point, around 43 million Americans owe approximately $1.4 trillion in student loans. Before taking advantage of the refinance option, CFA urges homeowners with student loan debt to weigh the pros and cons. 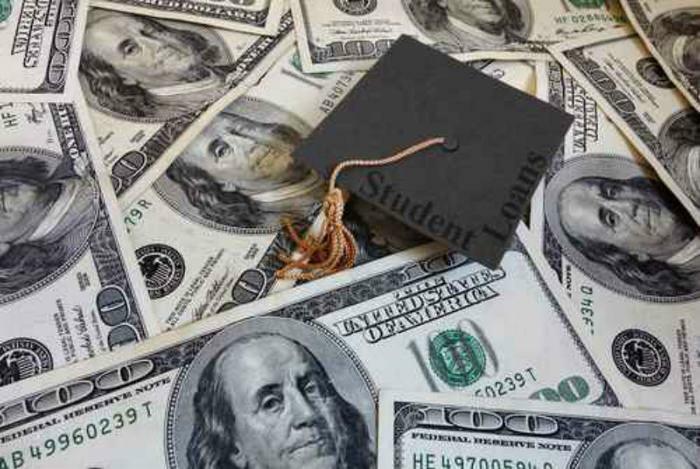 It says homeowners who use their home equity to pay off student debt will give up their rights to income-driven repayment options on their federal student loans. Currently, those rights cap federal student loan payments at roughly 10% of income. That's important, the consumer group says, if your income suddenly drops, such as during a time of unemployment. CFA says homeowners may also be trading away loan forgiveness options.